"It has a beautiful, smooth finish. It took 10 minutes to hang on the wall. It’s brilliant for displaying Luther’s favourite car for us to admire." "Luther seems pleased with the addition. It’s high enough that he can’t grab it. It’s larger than we expected but looks lovely in our nursery." 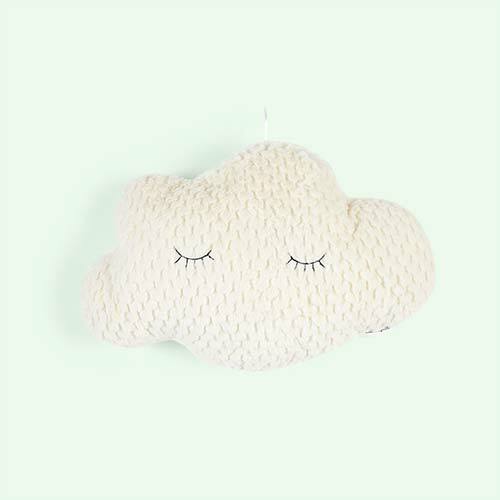 "Create a dreamy nursery with these cloud shelves. They're perfect decor for small objects, lights or a couple of kids' books." Step into the clouds with the Bloomingville Metal Cloud Shelf. With a sturdy and quirky design, this shelf is great for making a feature out of your storage. Just add some of their kit or a decorative piece. Boom.